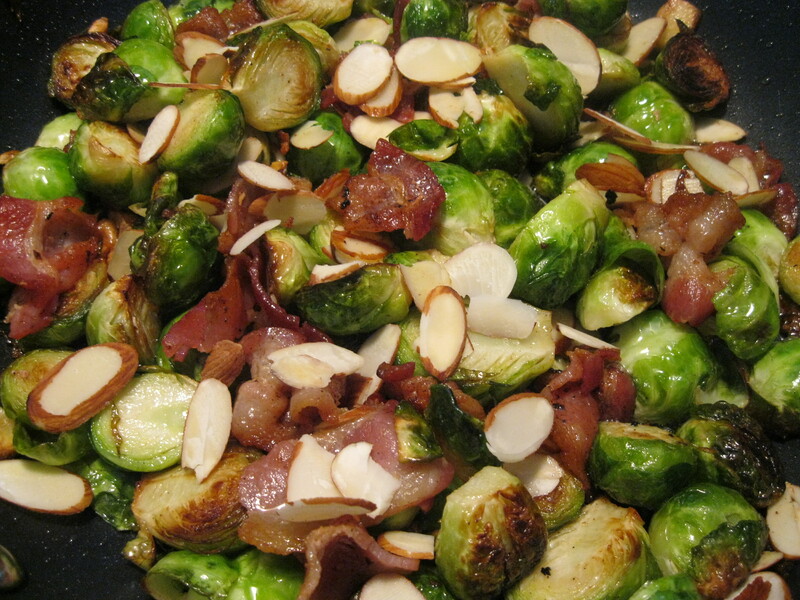 Brussel Sprouts With Bacon and Almonds | Cooking With Mr. C.
1. Rinse brussel sprouts. Cut in half. If large, cut in quarters. 2. In a skillet, cook bacon until crispy and put to the side. 3. In a skillet, add 2 tbs. of olive oil. Add garlic. When garlic begins to brown, add brussel sprouts. Sprinkle a pinch of salt and pepper. Add an extra tablespoon of olive oil, if it appears dry. Stir often so the brussel sprouts don’t burn. After 5 minutes, add vegetable stock. Let simmer on low heat until stock evaporates. 4. Chop cooked bacon into pieces and add to brussel sprouts. Add sliced almonds and stir. Cook for additional 3 minutes and serve. *Brussel sprouts should be tender. This was fantastic!!! Frank D.